One of the things that I love about this recipe is how easy it is! The pulled pork is fresh and made in a crockpot, so you’ll end up with juicy and tender pork that requires little to no work on your end! 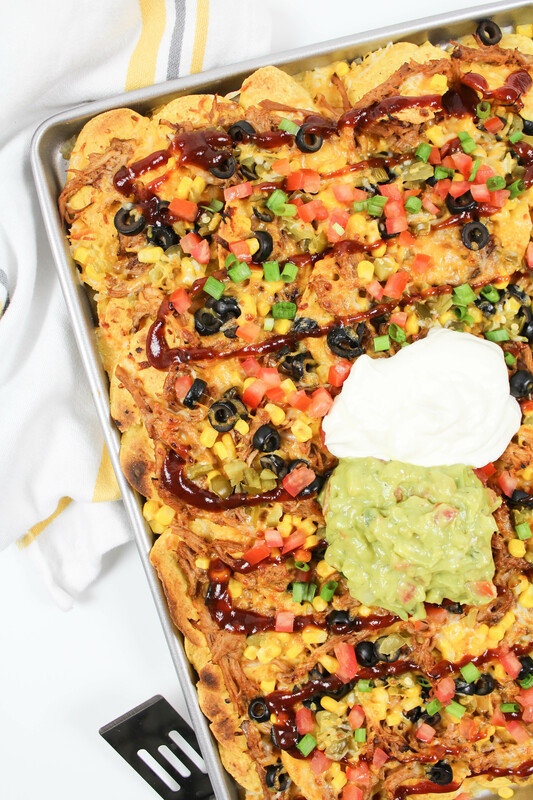 There’s nothing like a recipe that can be making itself while you’re at work or out running errands, especially one that’s perfect to serve a crowd! 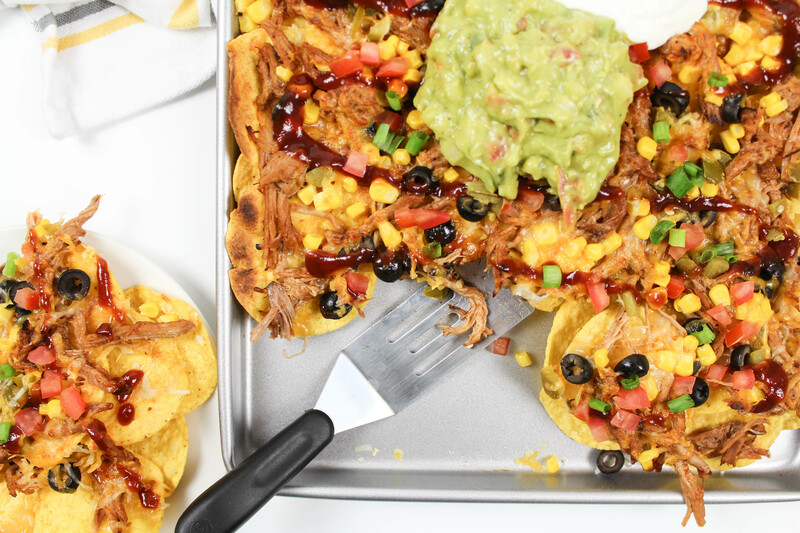 The pork that I used for this recipe is Smithfield® Prime Fresh Pork, which is available at a local Fresh Market near you! You can find this item in the fresh meat department of Fresh Market. 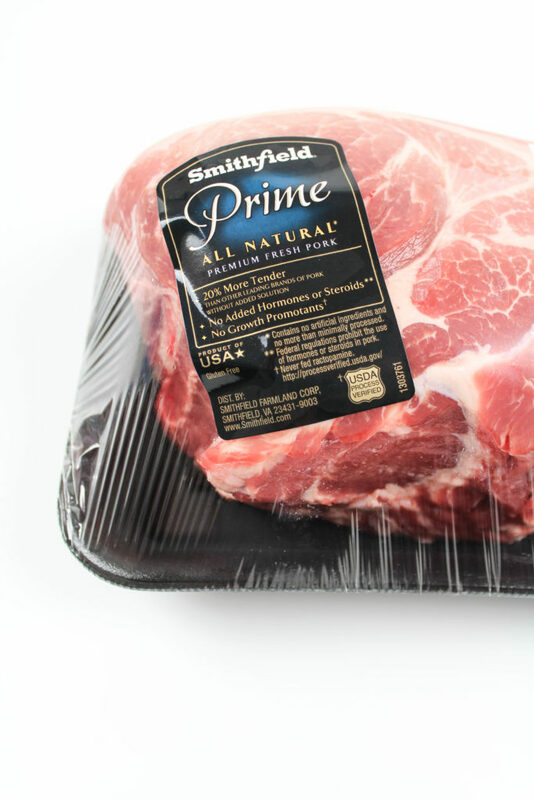 There are so many things that I love about Smithfield Pork, from the fact that there are no growth promotants and no added hormones or steroids. Plus, it’s a product of the USA, they offer a variety of different cuts and the meat is 20% more tender! What’s not to love about that? It’s definitely a go to when I’m picking out pork, because not all pork is created equal! It’s also perfect for this dish! Ready to make a batch? To make the pork, add all ingredients to a crockpot and cook for 10 hours on low or 6 hours on medium. Once fully cooked, use two forks to shred the pork. (One to hold the meat down and the other to shred with the fork tines). The meat will be tender and will shred very easily. Remove the pork from the crockpot and put it into a separate bowl. Add ½ cup of the crockpot juices to the shredded pork. Add ¾ cup of BBQ sauce to the pork and mix until fully coated. If you prefer your BBQ pork wet, add more sauce until it reaches the consistency you like. 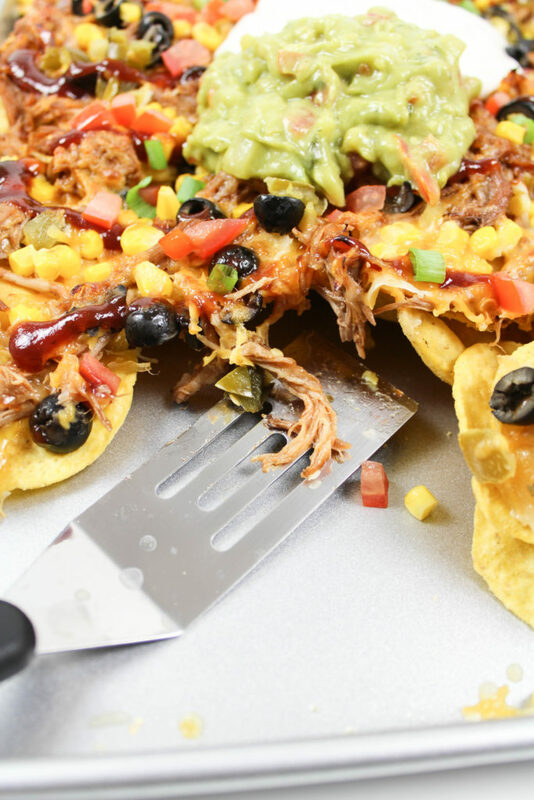 Once your pork is prepped and ready, it’s time to assemble your nachos! On a baking sheet pan, assemble a layer of tortilla chips. Top with a generous amount of pork and the additional toppings. Then add another layer of chips on top of the previous layer and add more toppings. 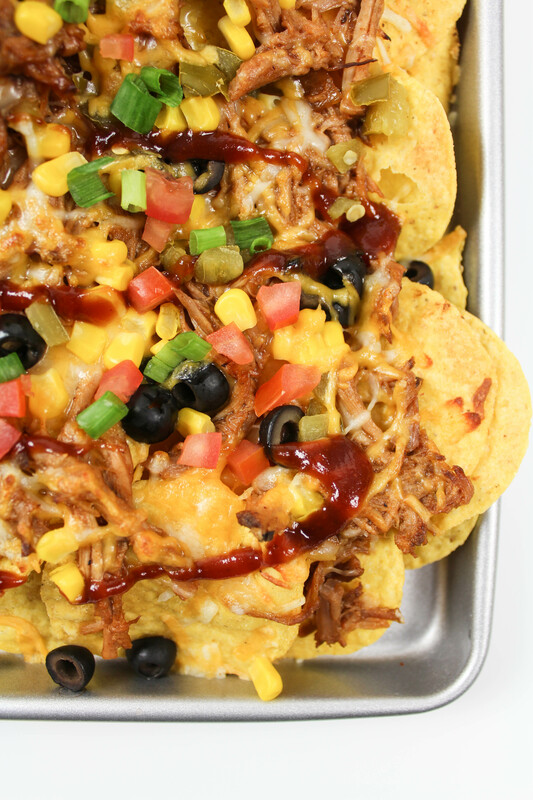 Don’t forget to pile on that delicious BBQ pork too! 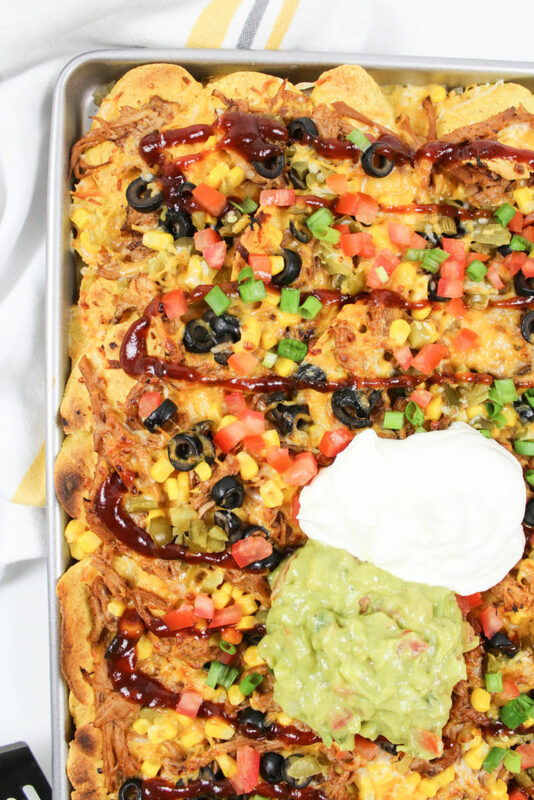 (If you prefer some of your toppings cold instead of warm, save the tomatoes and green onions to add after your nachos are cooked). Preheat your oven broiler on a low setting. Place your baking sheet of nachos under the broiler and watch them closely. They can go from underdone to overdone VERY quickly. Leave the nachos under the broiler until the cheese is melted and gooey. Remove the nachos from the oven and drizzle with additional BBQ sauce. Top with sour cream and guacamole. (Also add your tomatoes and green onions if you didn’t bake them previously). These BBQ pork nachos are great for summer entertaining because you can just set the baking sheet full of nachos out on the table and have guests serve themselves! They make a great meal or a perfect appetizer too! They are quick and easy to assemble so that you can enjoy your guests and your party without having to slave over a long meal in the kitchen! Plus, the pork is homemade and delicious to boot! Win/win! 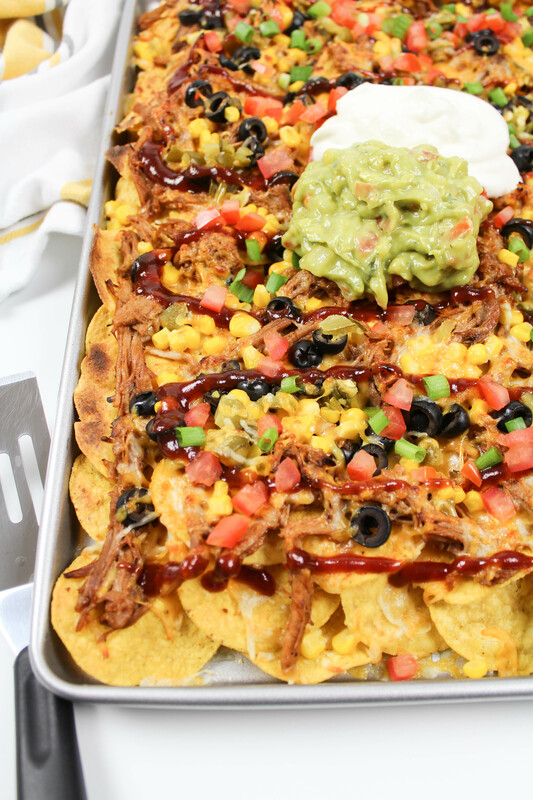 And, honestly, who doesn’t love nachos?! Looking for more great recipes? 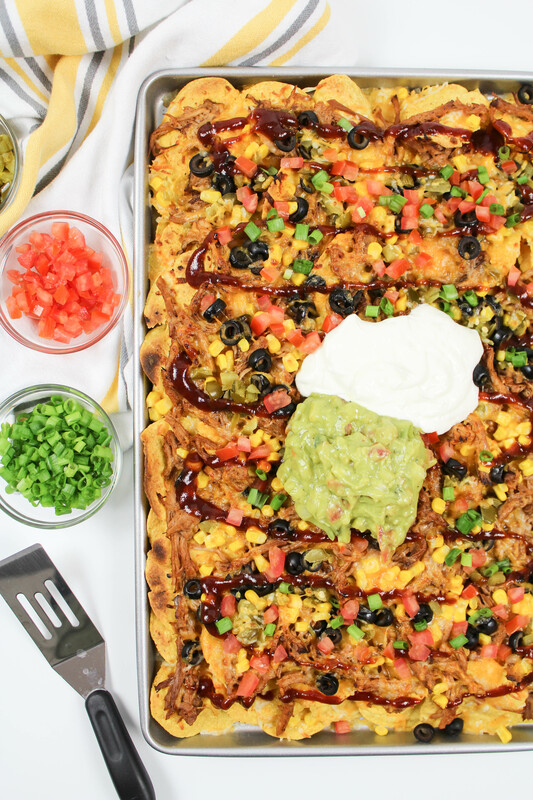 Check out these other Smithfield meal ideas!